Artist Gwen Bigham's sculptures were described by curator Melissa Post as having "dualities, between external appearances and internal realities." 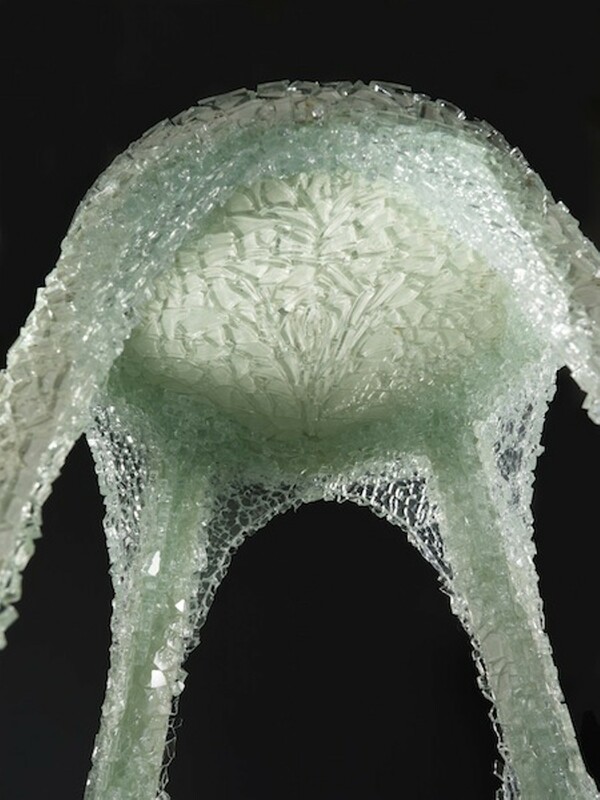 The pictured piece (only a portion is shown), "Vanity" consists of a small chair (you can see the legs in the photo) mounted to the top of a table, which is composed of the same crystalized-looking material. This and other new works by Bigham are currently on exhibit in Central Piedmont Community College's Ross Galleries.